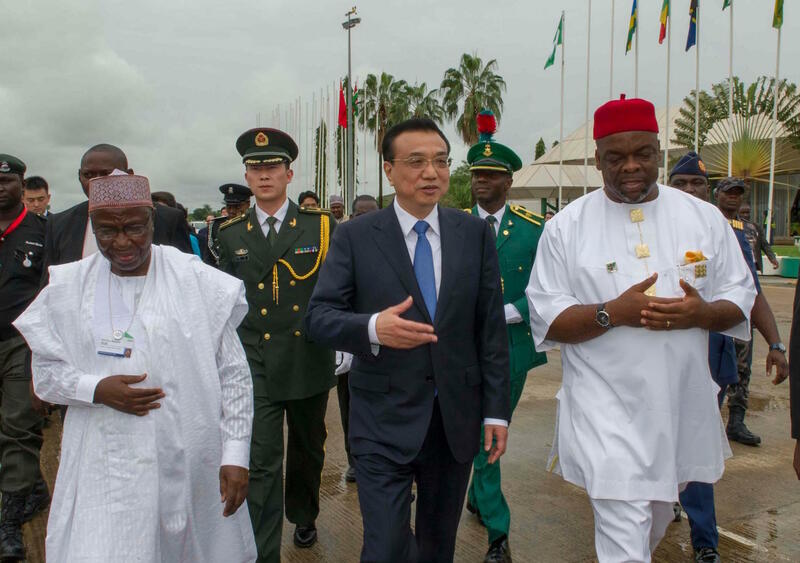 Chinese Premier Li Keqiang (C) walks with Aminu Bashir Wali (L), then Nigerian foreign minister, and Minister of Labor and Productivity Chief Emeka Wogu (R) at the airport in Abuja, Nigeria, May 8, 2014. Over the past 10 years Chinese leaders have made 79 official visits to 43 different African countries, according to new data from the Beijing-based consultancy Development Reimagined. Where the senior leadership goes offers some fascinating insights on China’s priorities in Africa. Hannah Ryder is the founder of Development Reimagined and led the research on Chinese official travel to Africa to produce a compelling new infographic detailing the past decade of Chinese travel patterns across the continent. Ryder joins Eric and Cobus to discuss some of the surprising findings that she discovered in her research on what African countries Chinese officials seem to prioritize over others.